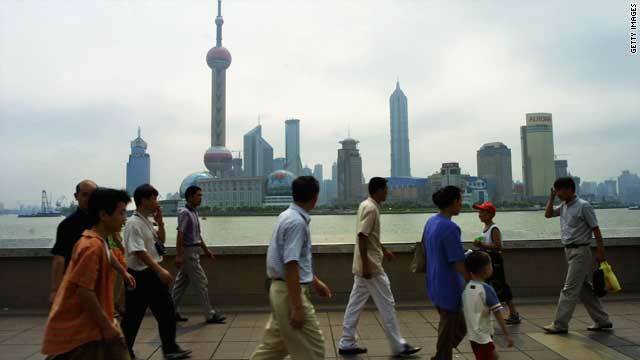 Predictions indicate that China could soon become the second largest economy in the world in 2010, surpassing Japan. Beijing, China (CNN) -- There is a long and growing laundry list in recent months of China butting heads with the rest of the world and, analysts say, the rest of the world had better get used to it. Beijing barely flinched when Google threatened to leave China, claiming to have been the victim of cyber attacks. Additionally, the government here doesn't seem troubled by being the lone holdout blocking U.N. sanctions against Iran for its nuclear program -- China has the political muscle that comes with a booming economy and a political leadership which appears to be very self-assured. "Well, China is certainly very self-confident," said Jonathan Fenby with Trusted Sources, a research group which specializes in BRIC (Brazil, Russia, India, China) economies. "China suffered from the world downturn... but it's pulled itself out of that... and the Chinese are feeling pretty good and pretty sure of themselves," Fenby said. "It's a bit like, say, Britain at the height of the Victorian era or perhaps the United States after the Second World War ... they feel they're on a roll. Many analysts seem to point to the November visit here by U.S. President Barack Obama as some sort of turning point: despite two days of meetings with the highest levels of the Chinese government, Obama walked away with very little. One of the big issues for the U.S. is China's currency -- considered undervalued by 20 to 40 percent, giving Chinese exporters a competitive edge. The currency issue has also been raised by the Europeans and the International Monetary Fund -- and the Chinese government has stared them all down, declaring the currency a sovereign issue. "In the past, China could say, for instance of its exchange rate: that is a sovereign issue, that's something only we can decide, it only affects us. But today that's much more difficult of an argument to make, because China's decisions affect the rest of the world and everyone else in the world has an opinion about what China should be doing," said Patrick Chovanec from Tsinghua University. Obama's visit to China was followed by December's U.N. Climate Change Summit in Copenhagen, seen by many as a disappointment. China came under criticism for the summit's failures, especially from Britain. It was the British again who were involved in a very open diplomatic spat with the Chinese a few days later, when Beijing executed British citizen Akmal Shaikh; his family claimed he was bipolar and tricked into being a drug mule, while the Chinese said he was smuggler and executed after being caught with about four kilograms of heroin, despite a direct appeal from the British Prime Minister Gordon Brown. "I don't think that China's relations with the rest of the world suddenly turned ugly," Chovanec said. "Any time you have a rise of a new power, this is going to upset the existing balance of things, there is going to be a big adjustment." Get ready for a few difficult months ahead when the U.S. delivers the latest Patriot missiles to Taiwan, and the Dalai Lama makes his first official visit to the Obama White House. And from an economic point of view, sometime this year, China may overtake Japan to be the world's second biggest economy and looks set to continue to boom. "I think there is a real difficulty here for the West," said Jonathan Fenby. "One feels the United States hasn't really worked out what its China policy is."